The Florida Panthers may be without Roberto Luongo, again. Luongo left Florida’s game against the Carolina Hurricanes after he allowed a goal at the end of the first period on Friday night. After he saved two shots from Lucas Wallmark, Luongo lay on his back and grabbed his right leg as Jordan Martinook gathered the rebound and put the Hurricanes up 1-0. Luongo lay on the ice for more than a minute as trainers attended to him. He eventually skated off under his own power. The team announced that he would miss the remainder of the game because of a lower-body injury. 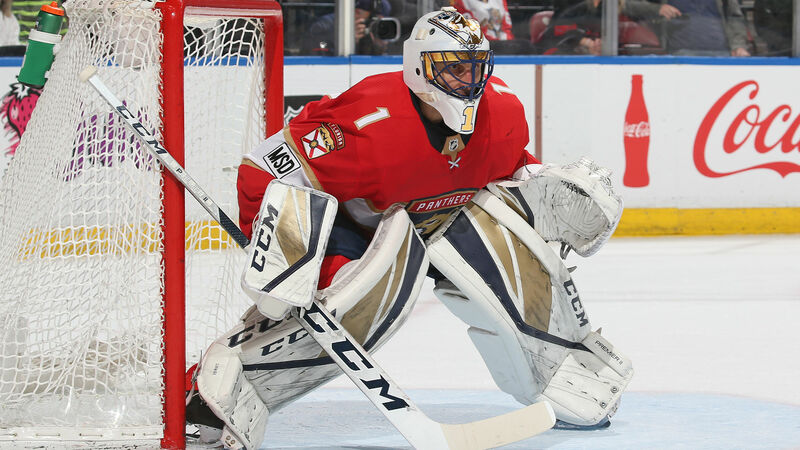 #FlaPanthers goaltender Roberto Luongo will not return tonight vs. Carolina with lower-body injury. The 39-year-old goaltender suffered a right knee injury in Florida’s season opener. The severity of the injury was unknown, but it kept him out until Nov. 1. Luongo is 4-3 with a 3.07 goals-against average and .902 save percentage this season. Who is Tiger Woods’ girlfriend Erica Herman? And how long has golf star been with restaurant manager?